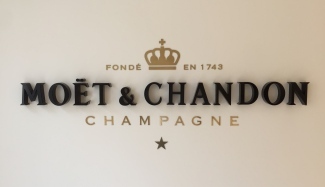 Moët & Chandon is a name that needs no introduction. 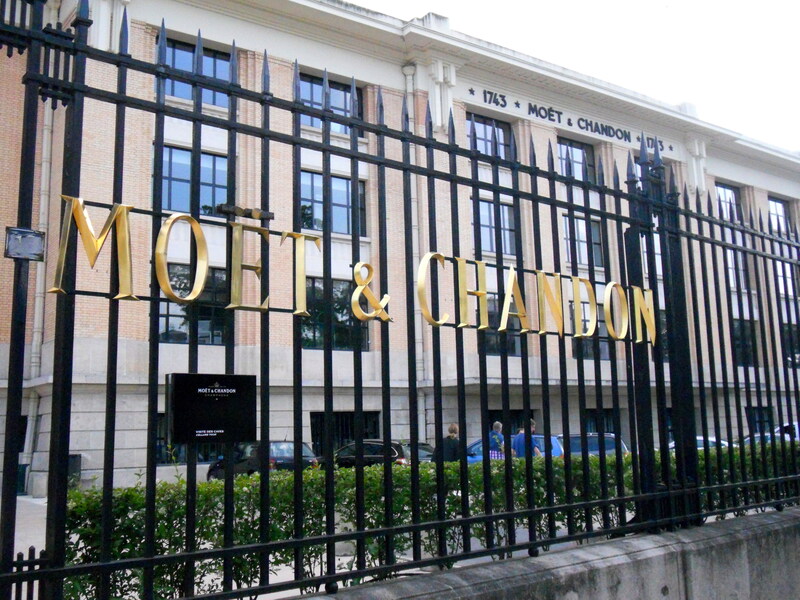 Co-owners of the world’s largest luxury group, LVMH – which also owns Dom Pérignon, Krug, Mercier, Ruinart and Veuve Clicquot – it is quite simply the most famous label in the industry. 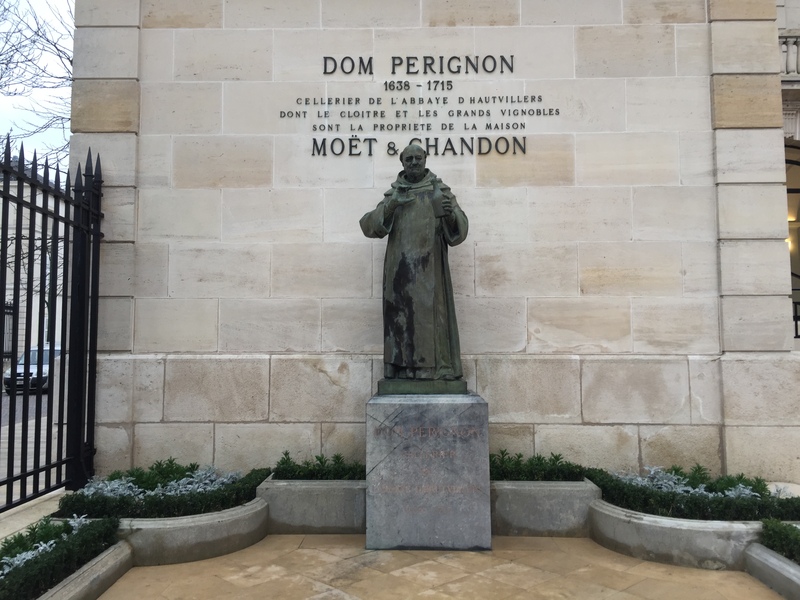 The world’s largest producer of Champagne – in the region of 30 million bottles last year – Moët & Chandon also own the most amount of land (some 1,190 hectares) and have the greatest extent of cellars (a labyrinth stretching over 28km beneath the sacred ground of Épernay). 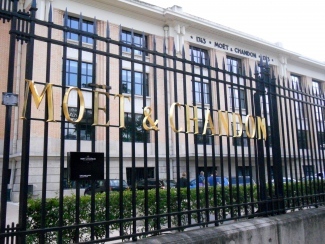 Moët’s real estate amounts to nearly 10% of the entire Champagne region under vine and since 1962 the house has had its own brand of proprietary yeast, helping to accentuate the characteristics of the house style. They even hold a royal warrant as official supplier of Champagne to Queen Elizabeth II. Seriously. As 12-year Chef de Caves Benoît Gouez was unavailable, we met with winemaker Amine Ghanem at the impressive winery in Épernay on the infamous Avenue de Champagne. 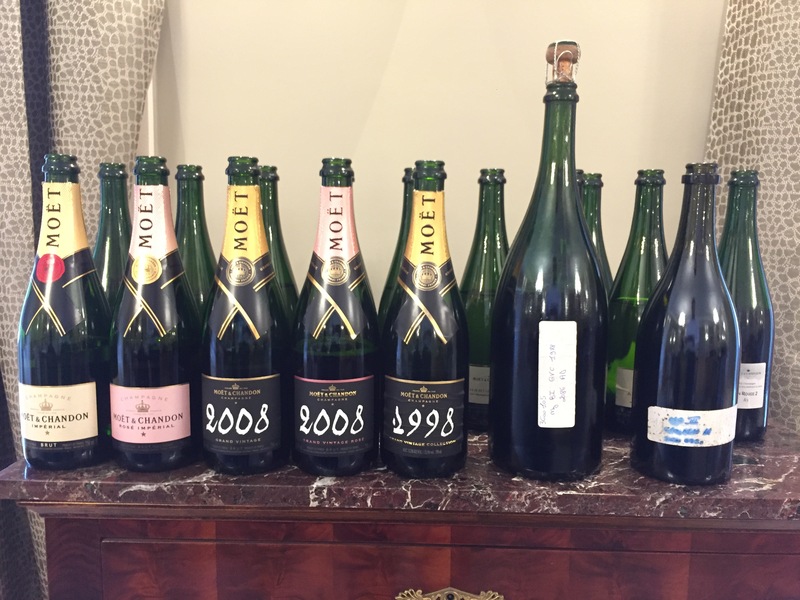 A grand estate with an even grander interior – where other houses prefer informal Vins Clairs tastings in their cellars, Moët welcomed us into one of many large private dining rooms for our base wine tasting; luxury emanating in their every operation. Surprised by the quality of the wines given the difficult viticulture, Amine spoke of the abnormal white grape development. “Chardonnay maturity completely stopped for 5 days and nothing happened,” he told us. “Consequently, the Chardonnay was picked at the end of the campaign, which is highly unusual.” However whilst the Chardonnay wines all have great fruit and acidity, the winemaking team are having to be much more specific to get the desired ripeness this year, searching plot by plot rather than village by village. Of their 1,190 hectares of limestone soil, 50% are classified Grand Cru and 25% Premier Cru, making up the largest vineyard area in Champagne. 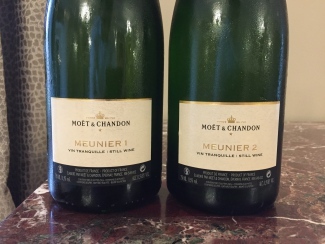 Highlighting the good fortune of working at a house of Moët’s stature, Amine commented: “Here we can choose from the best plots to make our blends, due to the size of the house.” For our 2016 Vins Clairs tasting, we sampled two expressions of each grape variety – Pinot Meunier, Pinot Noir and Chardonnay – a 2014 reserve wine, some reds and the first trial blend of Imperial NV. Picked during first five days of harvest. Lots of raspberry and strawberry flavours with hints of acacia and green apple. Quite astringent at the end. Picked later in the harvest. Quite aromatic, more peach and raspberry with hints of blackberry. Slightly bitter finish, but nice bitter. Tiny quantity but quality very good. Lots of peaches and a meaty palate. Bright acidity and liquorish finish. A blend of Grand Cru PN’s such as Aÿ. Very aromatic, subtle peach and jasmine flavours. Good round mouth-feel. Very powerful. Lots of lemon, pear and white flesh peachy notes. Loads of green apples. Great length and richness and good acidity. Interesting power of fruit. From the southern town of Sézanne. Lots of apricot and white flesh fruit. Very nice mouth-feel and loads of acidity. Medium length. As we tasted the base wines, Amine shared with us Moët’s very academic but simple approach to initial classification. With the most land, vines and therefore grapes comes the largest winemaking team – over 10 winemakers assess over 800 base wines, rating them all on a rigid ABC scale; where A = keep, B = unsure/re-taste and C = discard. Within the A rating, there is also the option of A+ and A++ grades for particularly impressive wines. 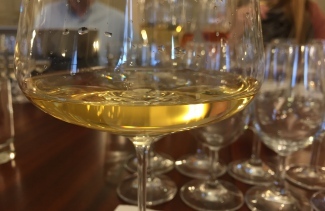 This year, the ABC rating system reduced the initial 820 base wines to 500 finalists. Eventually, these 500 will be whittled down to a selected 120 for the non-vintage blend. Amine told us this system has been in place since 1970 and is used at both Dom Pérignon and Mercier as well as Moët. Sensing our admiration for this efficient and calculated approach, Amine told us the team operate under a very scientific regime at Moët & Chandon. Ultimately, blending decisions are a collective process with everyone involved – each winemaker is therefore expected to continuously develop their sensitivity to individual molecules. Amine himself is currently working on his response to lactic molecules, a weaker area of his palate sensitivity. “Tasters can detect to a degree as precise as 0.1 nano-molecule,” he boasted. Next, Amine shared with us a 2014 reserve wine. Highlighting Moët’s respect for the reserves, he described them as “the most important ingredient in our blend.” According to Amine, the best wine from every year is added to the reserve wine stock to maintain consistency. 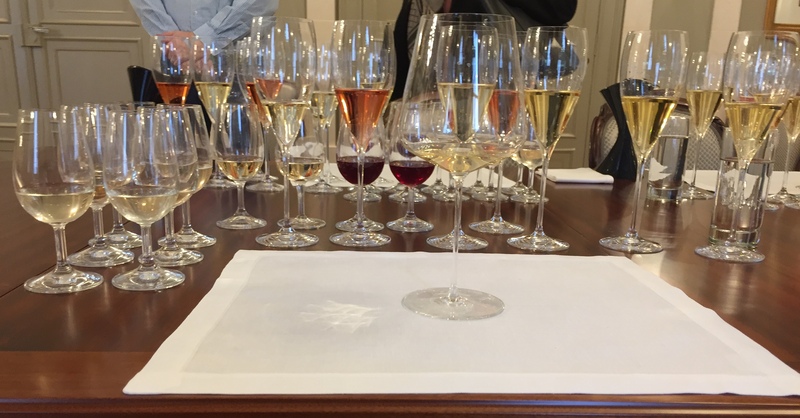 In weaker vintage years – such as, potentially, 2016 – the reserve wines are really enhanced. The 2014 reserve we tasted was a blend of only A++ rated Chardonnay and Pinot Noir and will be used in this year’s Imperial NV blend as they don’t want any oxidative characteristics. Great richness and real intensity. Wonderful plum and peach notes. Great acidity. Has what you think is oak but is just richness. Explaining how Moët & Chandon’s Imperial NV is created, Amine told us that three blends are made every year. Similar to the ABC scale for the base wines, each blend is rated from 1-4 by every winemaker and an average score is recorded. The first blend we tasted was finished just the day before (March 8th) and was an assemblage of two CH, two PN and two PM reserve wines. The second blend in June will contain only 30% reserve wine and the third in September will contain just 20% reserve wine. This blend was made from wines originating across an astonishing 3,000 hectares of vineyard, all of which have undergone malolactic fermentation. Lots of peaches, blackberry and plum character. A real powerhouse but with great structure and balance. Next, Amine informed us that Rosé Champagne accounts for just 20% of Moët’s overall production and claimed that figure to be just 10% for the region as a whole. 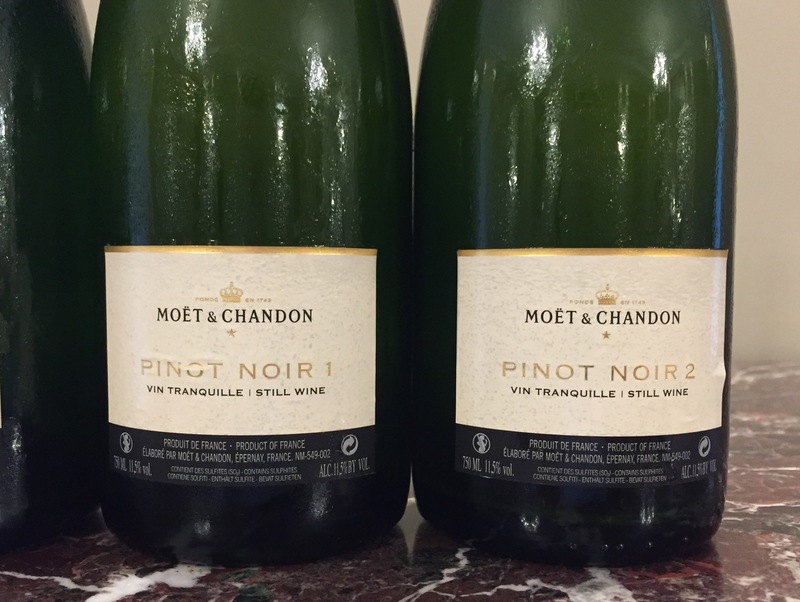 As an insight into the ingredients of Moët’s Rosé, we sampled two red wines created using very different winemaking processes. 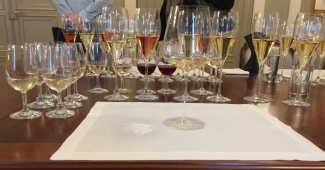 The first had been subject to Moët’s new thermo-vinification experiment; a procedure that involves heating whole or crushed grapes to promote the rapid extraction of phenolic compounds – in this case colour compounds – quickly creating an intensely coloured juice. The second had undergone the standard 8-10 day maceration process to extract the coloured juice from the grape skin. Both samples were 100% Pinot Noir. Used mainly in Rosé Imperial NV. Very intense strawberry and blackberry flavour. Loads of sweet spice on the finish, almost seems tight on the palate. Very different nose, bit rubbery. Lots of strawberry and a hint of raspberry. Very smooth mouth-feel, good maturity from Aÿ. After an immensely interesting and extensive tasting of a variety of Moët & Chandon’s base wines, we moved onto some Champagnes – starting with a comparison of the house’s Imperial NV and Rosé Imperial NV. Generous fruits and richness. Nice toasty notes. Lots of minerality and purposeful reduction in a very controlled manner. Sweet roasted character from longer maturation on the yeast. Very good. “The challenge is to make a huge volume of bottles with the consistency we want,” Amine commented regarding the NV. 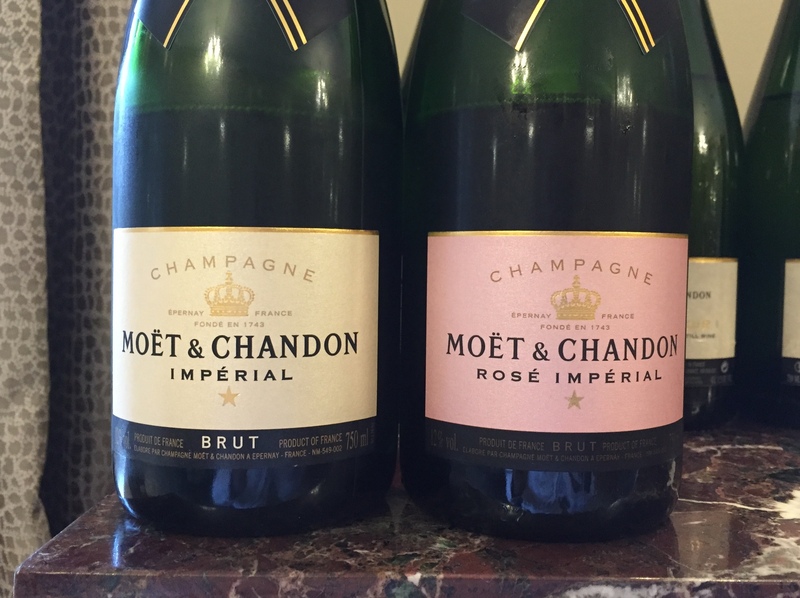 From the original 800 base wines, just 100 go into the Moët Imperial blend. 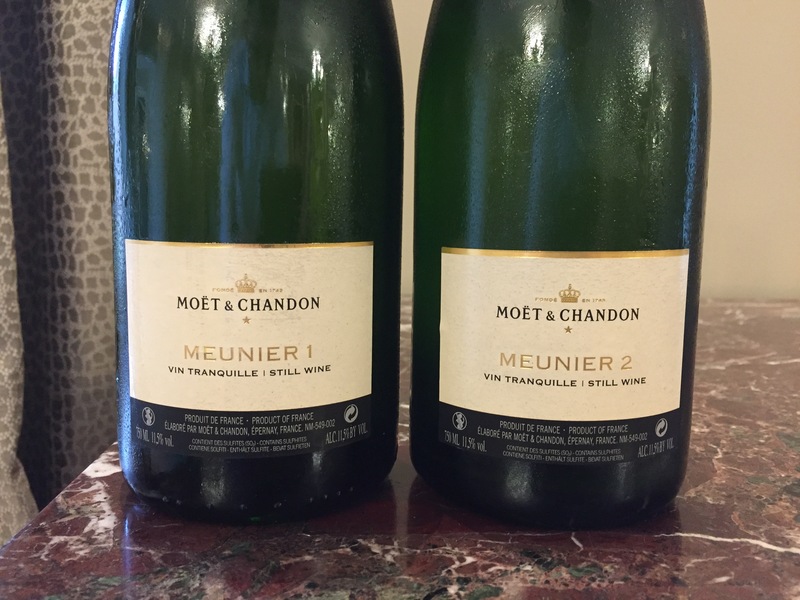 The bottle we tasted was base year 2013 and contained 40% Pinot Meunier, 30% Pinot Noir and 30% Chardonnay. Lots of strawberry and cherry aromas. Quite toasty and dry mouth-feel. Again, reductive in style, but very deliberately so. Good. 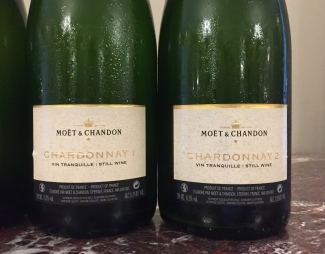 This bottle was also a 2013 base vintage, a blend of 40% Pinot Meunier, 40% Pinot Noir and 20% Chardonnay with 25% reserve wine and just 15-20% red wine. Amine told us that to create the reductive style, the team must “discard all oxidation from the production process”, which can be more difficult in years that have hyper oxidation on the musts. Next, we compared the newly released pair from the already outstanding 2008 vintage: Moët & Chandon Grand Vintage 2008 and Moët & Chandon Grand Vintage Rosé 2008. Comparing with past vintages, Amine told us that the previous two – 2006 and 2004 – were very warm years. However, 2008 was a classic vintage with a mild spring, tepid summer and perfect harvest. “A cool summer was the signature of the season,” he added. “It was a year of high acidity, 8.8-8.9 g/L. Not powerful, but very vibrant.” Apparently the house have kept a large amount of the Grand Vintage 2008 behind for their Grand Collection, currently ageing on cork in the cellars. Lots of ripe green fruits and a hint of toast and croissant notes. Some yeasty-ness, great richness and lovely mouth-feel. Dosage seems very light. Initial bitter cherry and spice aromas. Some richness on the palate from the Chardonnay and loads of fresh cherry and blackberry flavour. Very sophisticated and lovely dosage. 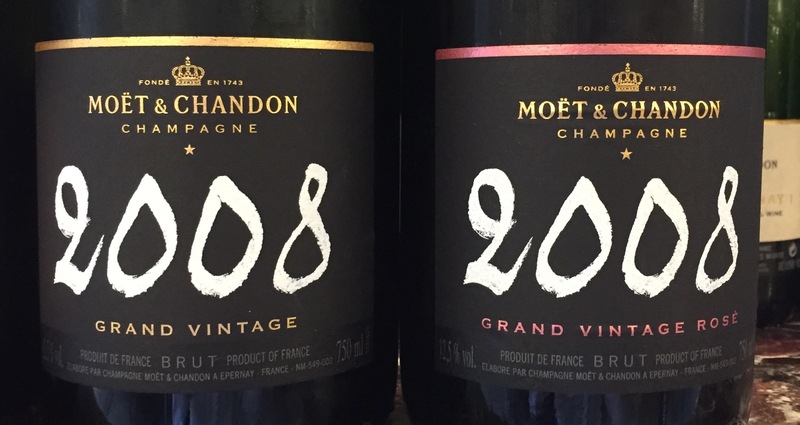 Amine then surprised us with a generous invitation to undertake a 30-year journey through the vintages of Moët & Chandon; comparing the recently released 2008 with a bottle of 1998 and a magnum of 1988. 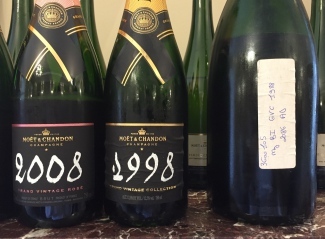 A truly unique experience and a rare chance for a direct vertical comparison of Champagne with such age. 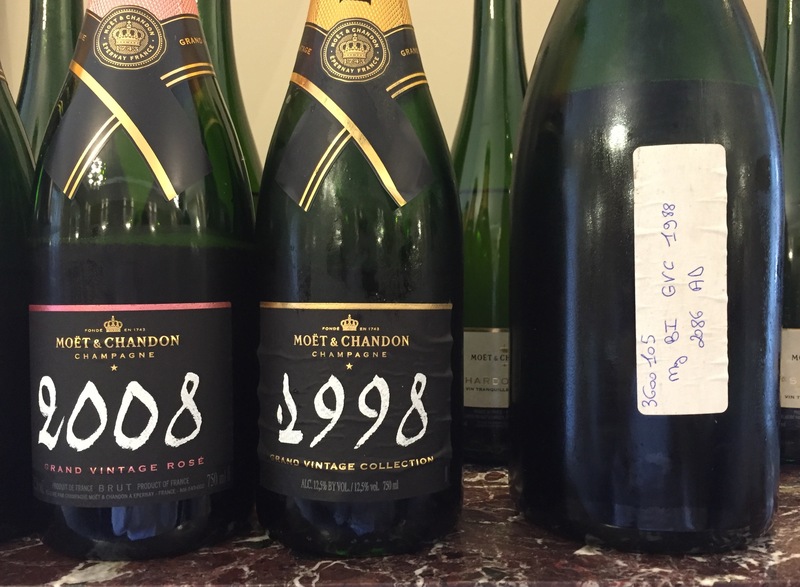 Whilst the 1998 bottle was fresh, forward, lean and still youthful, the 1988 magnum was just jaw-dropping. Bright straw colour with hints of gold. An abundance of toastiness, caramel and crème pâtissière flavour. Some strawberry with loads of richness and a magnificent mouth-feel. Very subtle – seems very youthful on the palate. Gentle, round and full. Incredibly rich colour. Roasted cashew nut aromas. Magnificent dried fruits and good weight on the palate. Just outstanding. Delightfully toasty, rich and buttery finish. Has real length, just goes on and on. So youthful, magnum showing best again. At the risk of sounding like a broken record, the evidence for how Champagne retains freshness and develops with much more complexity when aged in magnum is unassailable and this was a flawless example. Stunningly youthful, it still had lively stream of bubbles, ample freshness and tons of fruit characteristics – but most of all it was tantalisingly nervous, still teasing with what it had to offer. Magnum really is the only way. 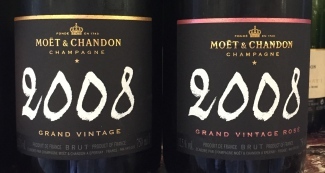 The house recently released a Moët & Chandon Grand Vintage Trilogy, allowing consumers to experience the remarkable 30-year journey of Moët & Chandon Grand Vintage 2008, 1998 and 1988 (buy it here). 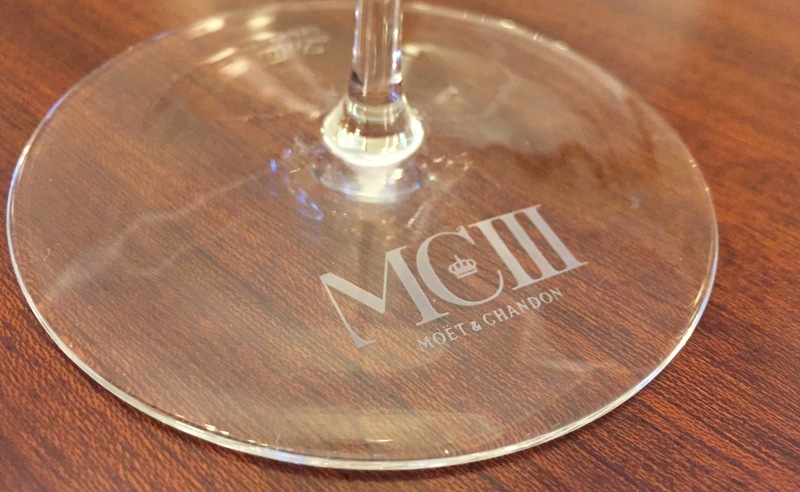 Finally, just when we thought the day couldn’t get any better, Amine upped the ante again: calling for a bottle of the house’s new and exciting “ultra-prestige cuvée” – Moët & Chandon MCIII. Wanting a new challenge after the success of the extraordinarily exclusive ‘Esprit du Siecle’ (released in celebration of the new millennium this unique cuvée contained wine from the best vintage of every decade of the 1900s), Chef de Cave Benoît Gouez invented the exceptional yet complicated concept of ”hybrid wine” MCIII. The ultra-prestige cuvée is composed of three ingredients, each gradually increasing in grandeur and complexity. 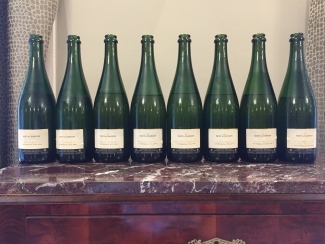 1) The initial cuvée is based on the 2003 vintage and contributes just over a third to the final blend; 2) Reserve wines from 2002, 2000 and 1998 are then added to make up just over another third; and 3) The final 25% is comprised of undisgorged Grand Vintages from the cellar – 1999, 1998 and 1993 – chosen for richness, freshness and elegance respectively. 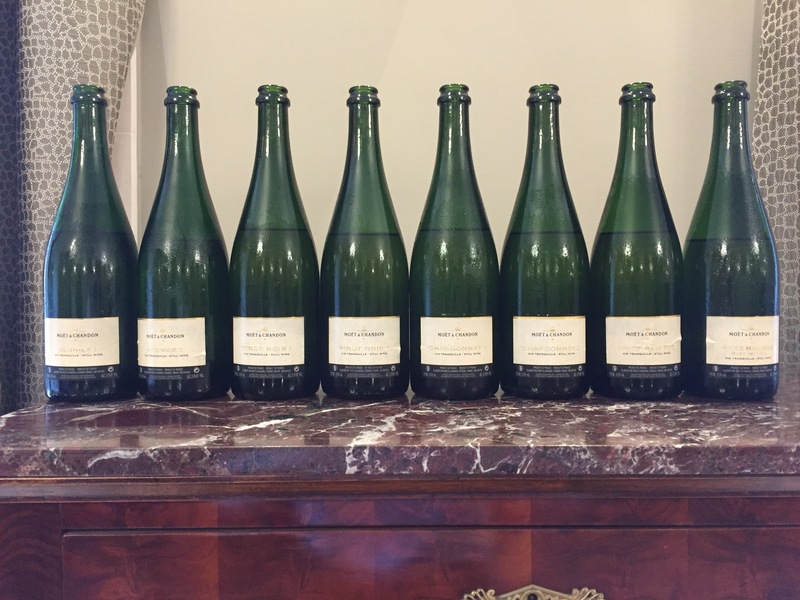 The first batch carries the catchy code 001.14, with ‘001’ referencing the first cuvée and ‘.14’ the year of disgorgement – the next will be 002.17. And to top it off, this code – along with ‘MCIII’ and the brand name – is hand-etched onto every bottle… a label just wound’t do this justice. One of the few (if not the only) cuvées that blends Grand Cru vintage Champagne into still wines, this was a bold undertaking from Benoît. Undeniably, the house has a great advantage in its size and volume, boasting the vastest collection of vintage reserves wines (dating back to 1830s!) in the whole region. It is this unrivalled capacity that facilitated the creation of such a daring blend. Amine described it as his “favourite Champagne ever” and it’s difficult to raise a counter-argument. 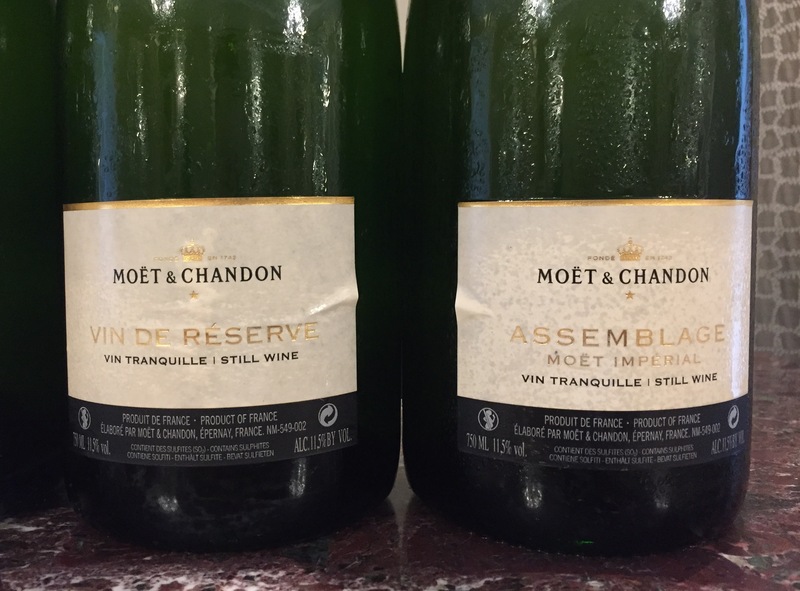 Moët has spent the last 15 years trialling this new Champagne and their persistence has been rewarded: this ultra-premium cuvée now provides the cornerstone to the luxury house’s range. Lots of honey, walnut and patisserie aromas straight away. So buttery and so tropical, this has a real unexpected freshness. Despited the aged components it sits safely on the reductive side. Heaps of acidity but so many layers of fruit and dried fruits that linger forever. You can taste younger elements from 2002, this is definitive Moët. A masterpiece. 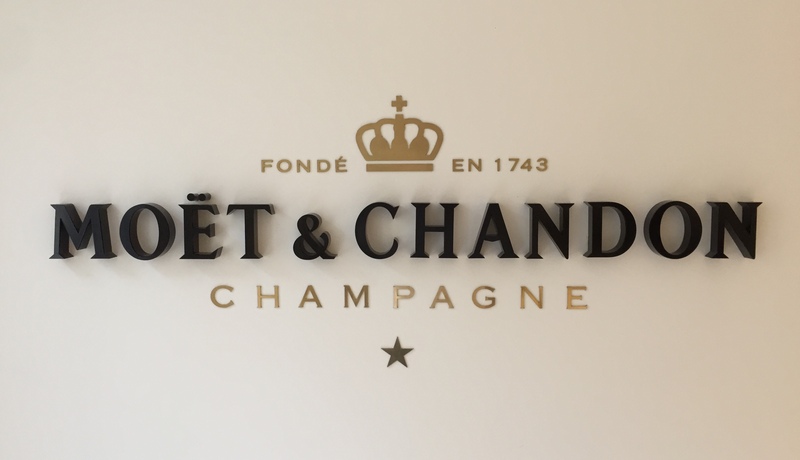 The house of Moët & Chandon is a real laboratory, with Professor Gouez managing a team of Champagne scientists, rather than just winemakers. 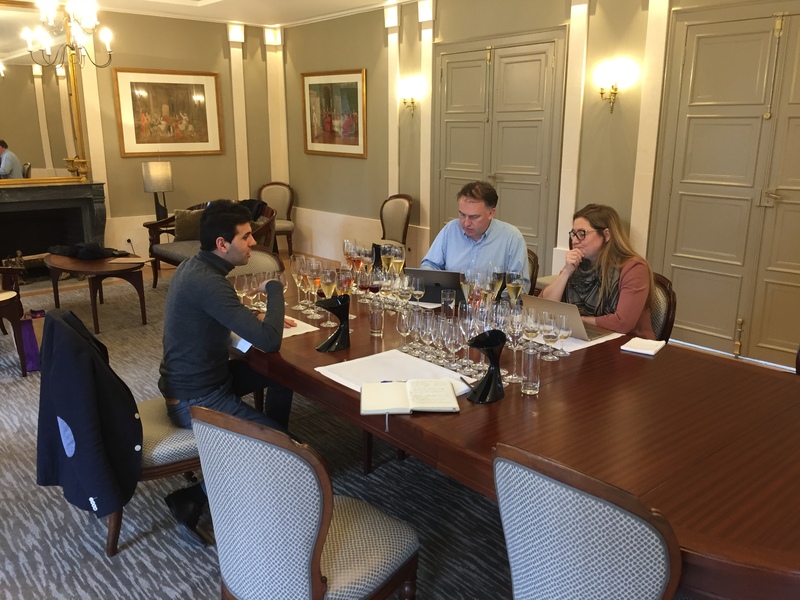 Moët’s precise scientific approach to every stage of the winemaking process really struck us – be it training the sensitivity of the palate to individual molecules or trialling multiple variations of liqueur de tirage and dosage concentrations on every blend. Amine also talked us through their unique policy on yeast: “The house’s own brand of proprietary yeast was first used in the 60’s – now we have two strains.” Explaining how these are utilised he told us that 90% of the time just one of the strains is used for both first fermentation and second fermentation – but occasionally they switch around. Their yeast “brings the toastiness and minerality,” according to Amine. Further, a house of this size doesn’t stay at the top of the tree without constant innovation. Talking of the future, Amine introduced us to a few of Moët’s current experiments. During the 2016 harvest, the house attempted machine-picking of grapes for the first year. “There are potential benefits to mechanical harvest for the right wines,” he explained. Although trialled in allotments outside of the Champagne region, Amine told us the project was terminated under pressure from voices within Champagne. 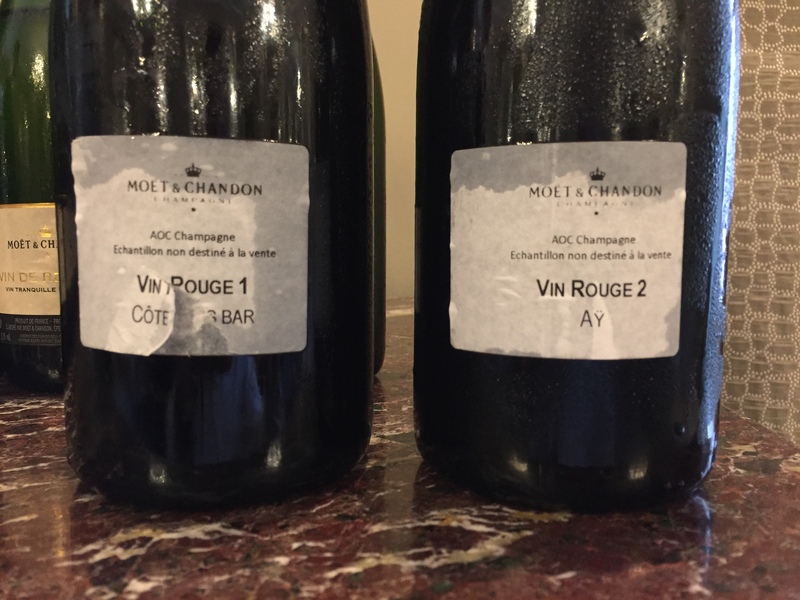 At first disappointed by this resistance, Amine reminded us that Moët & Chandon were the first producers to use stainless-steel tanks and malolactic fermentation and thus he remains confident that the rest of the industry will accept and engage given time. Other experiments with thermo-vinification and lowering the temperature of grapes before pressing have witnessed varying levels of success. 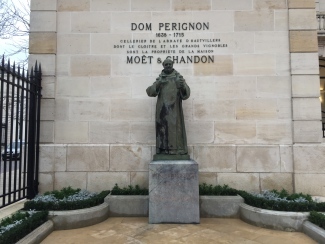 Altogether, a truly educational visit to this most prestigious of Champagne houses. 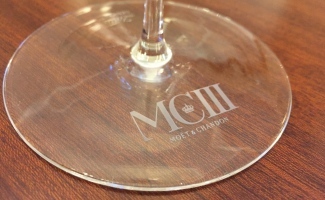 The 2016 Vins Clairs have incredible power, vivacity and freshness; the newly released Grand Vintage 2008 is one of the best expressions we’ve tasted of this groundbreaking vintage and MCIII is simply in a class of its own. Whilst exciting new projects ensure the pioneering house stays ahead of the pack, the white-coat winemakers are taking innovation to the next level. Legend has it a bottle of Moët is being popped somewhere in the world every second.